A close-up of flying Eastern Yellowjackets (Vespula maculifrons) colliding at the entrance to their nest. One is returning with food, while another is leaving to forage. 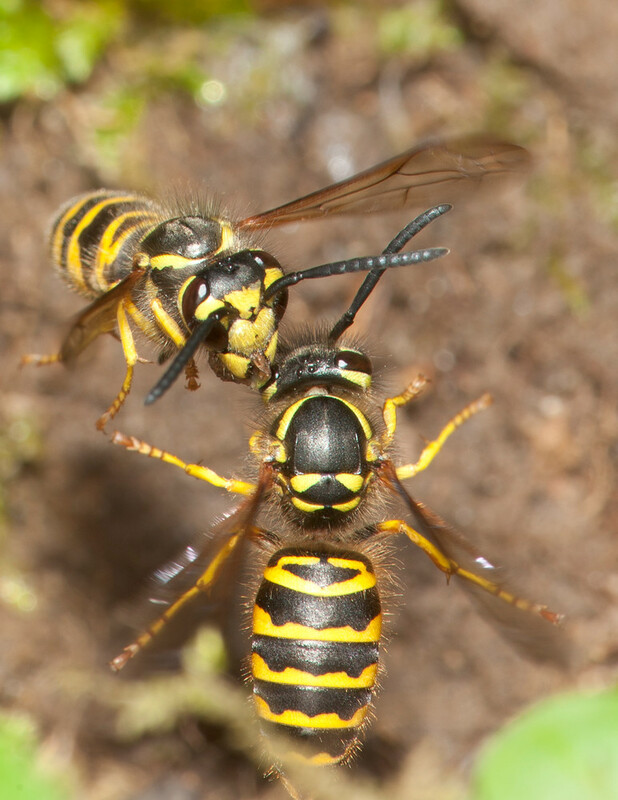 Eastern Yellowjackets (Vespula maculifrons) midair collision at entrance to nest; one returning with food, the other leaving to forage.